Last year in my early months of living in Vancouver, my friend Emma and I decided we needed to do a tour of all the juice spots in the city. We’re both busy ladies so have yet to fully achieve this, but we did make a start. 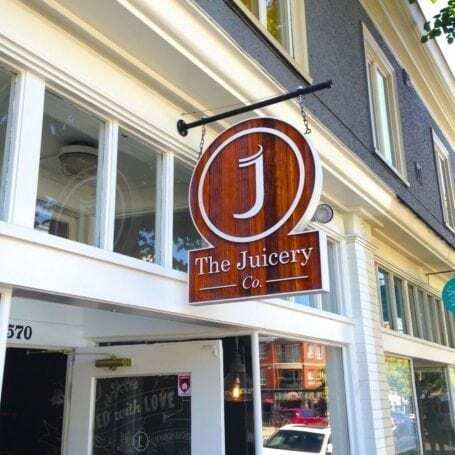 Last summer we visited The Juicery Co‘s Kitsilano location, and this particular purveyor of my favourite beverage (that being green juice) ranks at the top of my list. Juices aside, The Juicery has unbelievable nut milks (or mylks, as they’re referred to). Specifically, their Golden Mylk is a mixture of Brazil nuts, almonds, vanilla bean, nutmeg, cardamom, raw honey, turmeric and chia seeds. Guys, this stuff IS gold. Dreamy, creamy gold that tastes like no other non-dairy milk you’ve ever tried. For reasons unbeknownst to me, I somehow forgot about my love for The Juicery’s nut mylks until a couple of weeks ago. 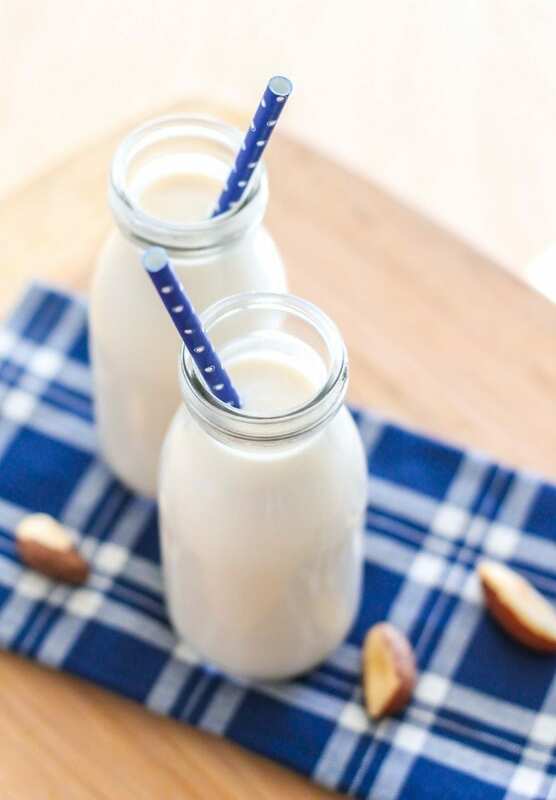 In my Culinary Nutrition course we were recently required to make nut milk, and having already made my own almond milk in the past, this felt like the perfect opportunity to concoct my own Brazil nut-based creation. Selenium for the win! 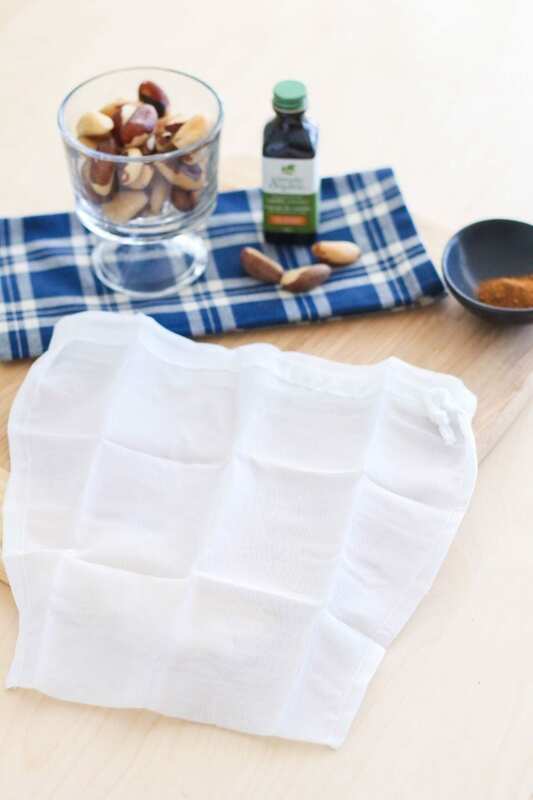 If you’re up for making your own (which is so ridiculously easy, I promise), you’ll want a nut milk bag. These are much more sturdy than cheesecloth and have finer mesh, which means you can reuse them over and over again and not have to worry about bits of nut pulp getting into your milk. A really fine mesh strainer works too, but it might not be as easy to press all the moisture out – you want to be able to give it a really tight squeeze. 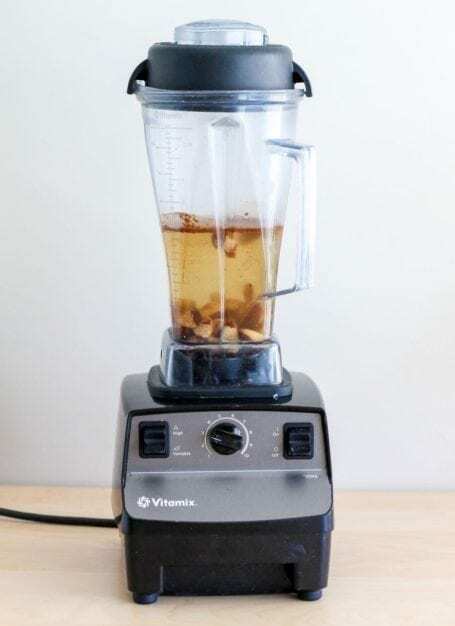 After soaking the Brazil nuts in water overnight (which helps digestibility and makes them easier to blend), I tossed them into my Vitamix with water, cinnamon, nutmeg, vanilla and a date for a hint of sweetness. If you want to create your own golden milk you can add a few pinches of turmeric as well, which will provide extra anti-inflammatory benefits. At the time of making this I’d just used up my last bit of turmeric while making curry powder – otherwise it would have certainly been in the mix! Depending on who’s making the recipe you might come across different nut-to-water ratios (1:1 would be super duper thick), but my preference is for 1 part nuts to 4 part water. 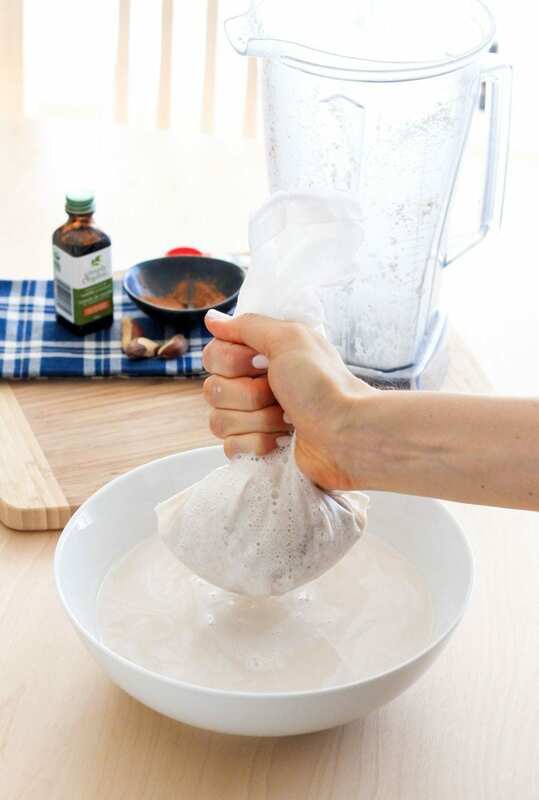 Once the mixture is completely smooth, the next step is to pour it into the nut milk bag which you’ll want to place over a big bowl. Make sure it’s big enough to hold at least 5 cups of liquid, because you’ll make about 4 cups of nut milk with this recipe. This is where your muscles come in. That pulp has a lot of moisture hiding in it, so you’ve got to squeeze it reeeeealllllllly tight in order to press it all out. After that, you can enjoy the nut milk right away (straight up, in a latte or smoothie, perhaps? ), or pour it into mason jars and keep them sealed in the fridge for up to 3-4 days. You’ll notice that it starts to separate a little bit, but this is a-ok. This nut milk doesn’t contain the stabilizers found in commercial non-dairy beverages, so it’s totally natural. The fix is easy: just give it a good shake! Drain the water off of the soaked Brazil nuts and discard. 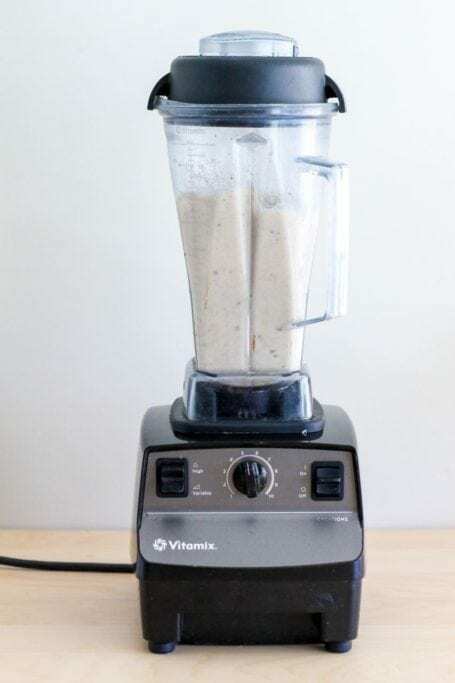 Combine all ingredients in a high-powered blender. Blend until completely smooth. 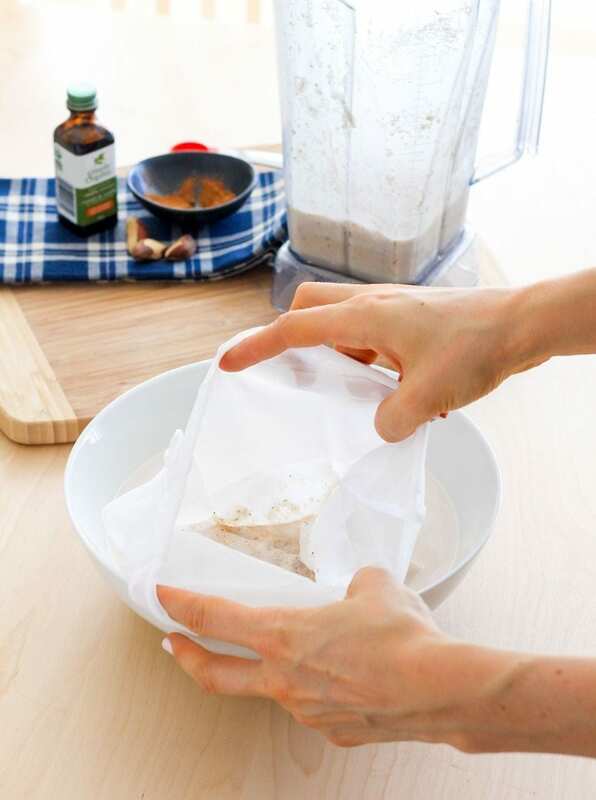 Placing a nut milk bag over a large bowl, pour the contents of the blender into the bag. Use your hands to squeeze as much of the liquid out of the bag as possible, leaving only the Brazil nut milk pulp inside. 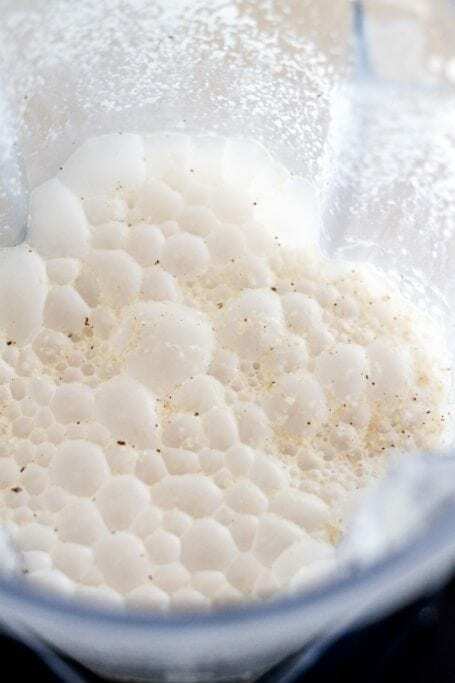 Transfer the nut milk in the bowl to a mason jar and store sealed in the fridge for up to 3-4 days. Note that the nut milk will separate and this is ok – just shake it! Leftover nut pulp can be used to make crackers, to add fibre to smoothies, or as an addition to baked goods or homemade burgers. 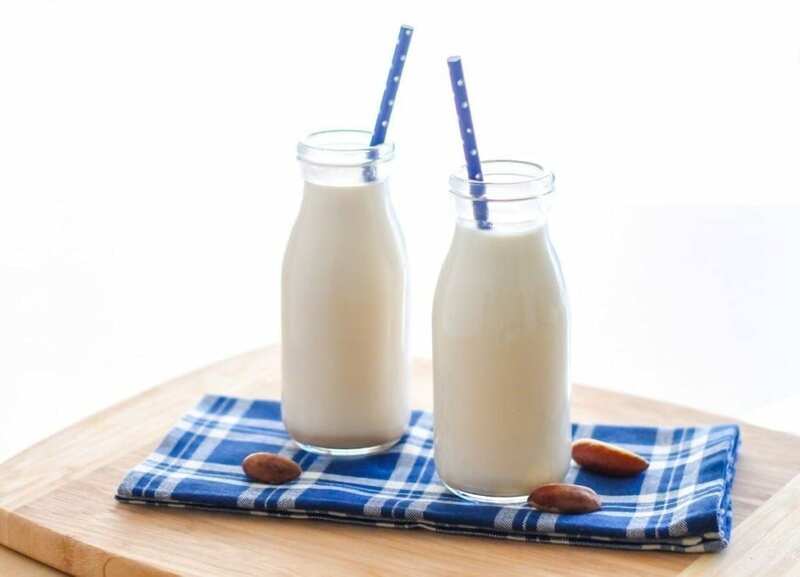 Have you tried making your own nut or seed milk? Any tasty recipes to share? 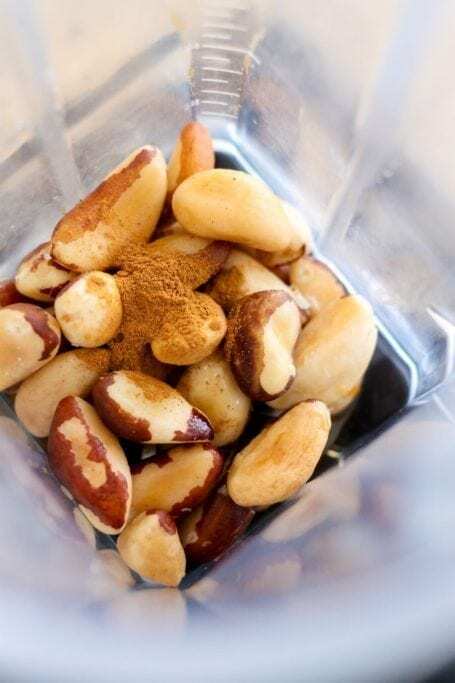 Brazil nuts are known for their selenium content, with a 1-ounce serving, or approximately six nuts, containing 544 micrograms of selenium. A trace element, selenium is essential for producing selenoproteins, which are enzymes that support your immune system, as well as regulate your thyroid gland function. The tolerable upper intake level of selenium is 400 micrograms per day for adults, although the recommended dietary allowance is much lower, at 55 micrograms. Ingesting too much selenium in one sitting or on a regular basis can lead to selenium toxicity. 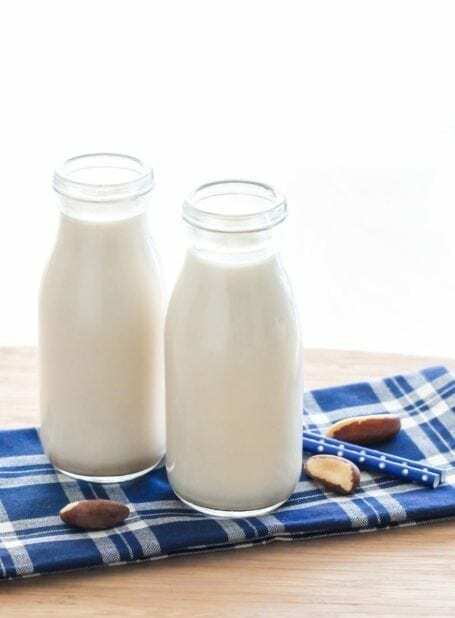 http://www.livestrong.com/article/506436-side-effects-of-brazil-nuts/ This would be an easy way to get selenium toxicity and should not be recommended for a non-dairy milk like almond milk is. Thanks for your comment. I agree – it’s worth being careful with Brazil nuts due to potential selenium toxicity. In this case, I think Brazil nut milk is something to be enjoyed in moderation, not really in every-day quantities as one might consume almond milk. Since this recipe makes about 4 cups of nut milk and there are 2550mcg of selenium in 1 cup of Brazil nuts, 8 half-cup servings would mean ~300mcg of selenium per serving. It’s below the tolerable upper limit, but you’re right – probably not something you’d want to consume daily in large amounts. 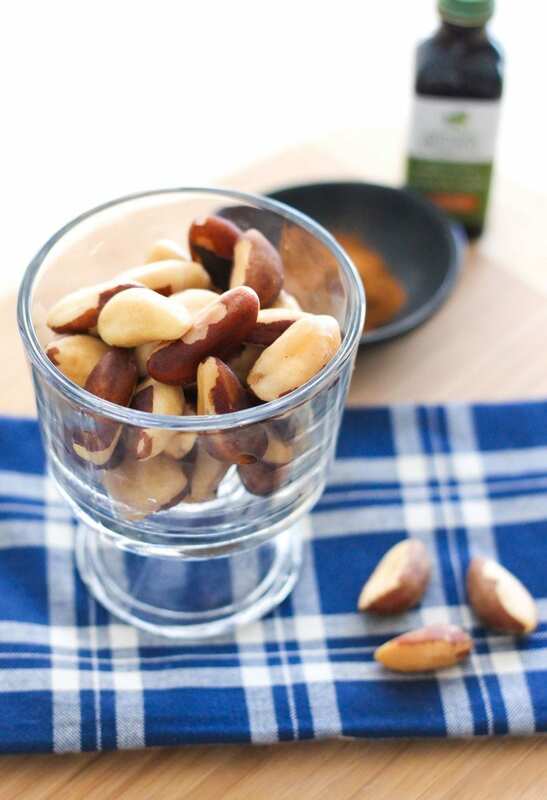 An alternative option could be to use half Brazil nuts and half almonds with the same quantity of water.